I was born and raised right here in Georgia. I come from a really small town almost directly between Savannah and Columbus- that “middle of no where” part of the Run Across Georgia with the Statue of Liberty, (which was lovingly carved out of a tree trunk with a chainsaw), McRae. That’s where my fitness journey begins. I was not athletic growing up. And definitely not competitive when it came to sports. I played softball, until the girls got too competitive and rude. That was my impression of athletic girls- and I didn’t really want a part of that. I stuck to academics, band, chorus, and one act play. I knew that was my best bet at college. Somewhere along the route, with depression and anxiety, I developed an eating disorder, which included very unhealthy views of nutrition and exercise. My second year of college I found myself in ICU, told had I walked out, my heart would have stopped. A couple months later, I finally checked myself into a psychiatric hospital for eating disorders, admitting complete powerlessness over my mental obsessions. It was scary- and also one of the most important things I’ve ever done for myself. While there, I met a woman who got me into running 5ks and mini-triathlons. I wasn’t fast or impressive- it was just enough to help me cope with weight gain, the adjustment of having to force myself to eat, and I found running and biking to be an incredible help in coping with anxiety and depression. Fast forward, I went on to obtain my Bachelors in Psychology, tore a meniscus that required surgery, met and married my husband, earned my Masters in Clinical Mental Health Counseling, and settled down in my career. Prior to having kids, I was working full time at a treatment center in Savannah where I was a Counselor for those with severe and persistent mental health disorders and substance use disorders. It’s my passion. I love working with clients. I also really wanted a family. Pregnancy just wasn’t working for us. We married in 2011 and by 2013, still nothing. Somewhere in that time frame, I finally had time in my day to get back into running. It was my solace as I battled with infertility. It also made the process of getting pregnant that much more difficult, physically. Though we never were given a full diagnosis, we know that exercise, in any form or level, was preventing me from ovulating at all. Way back in treatment, I had been told I likely would never be able to have children due to the severity of my eating disorder. I don’t know if I would have had infertility issues had I not been sick- and I guess it doesn’t really matter. It’s all just a part of my story. 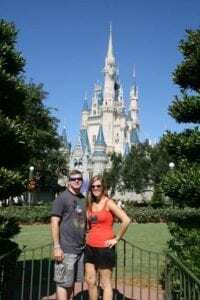 In 2013, we finally started talking with my Ob-Gyn regarding infertility issues. She referred us to a Reproductive Endocrinologist, who we began seeing in January 2014. That first appointment, he promised me he’d be able to get me pregnant and possibly even give birth before the end of the year! 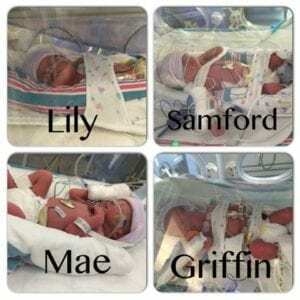 By my birthday in May, I was pregnant, and we found out 2 weeks later: quadruplets. It was terrifying. We dealt with all the scary statistics, me being incredibly sick from all the hormones and even some scares early on. I prepared myself for the worst and hoped and prayed for the best. I didn’t get to have that “fit” pregnancy that other women have. I was confined to only walking (which later had to be stopped because it spent too many calories and put too much pressure on my cervix) and had to eat around 4000-4500 calories a day. 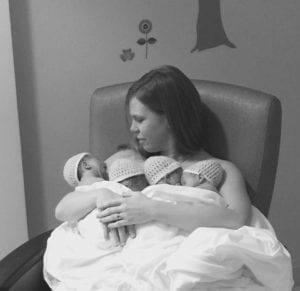 On November 28, 2014, our miracles were born at 31 weeks 1 day. 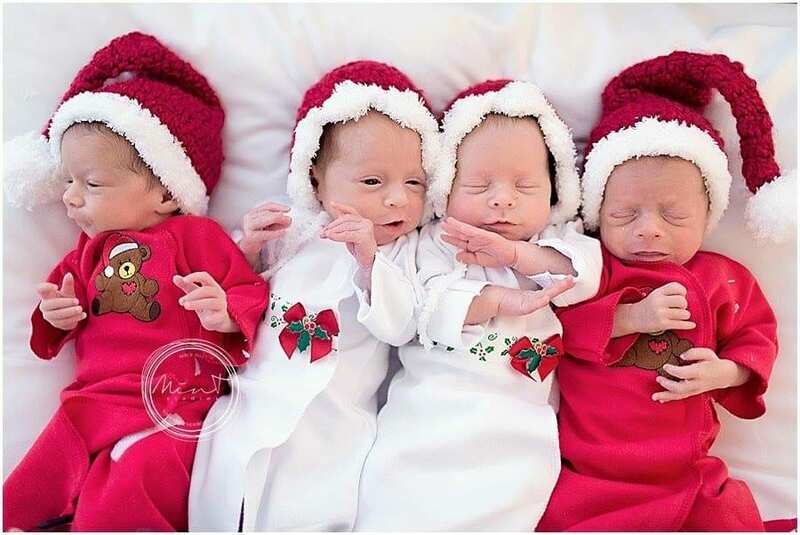 They spent 33 days in the hospital and came home on New Years Eve. But I did. I didn’t make friends initially. I was too busy. I’d had to get all the babies up, feed them, change them, pump, load them, get to the park, have another bottle ready, then rush home because i’d need to pump again. And the babies were slow to adjust to our new schedule. Usually 1 or all would cry. I felt I almost always was wearing one in a carrier. And I’ll admit- I negatively judged myself against the moms. I just knew I needed to be working out and to keep at this routine if I had any hope of running a 5k again or just having some sanity. Slowly, I was able to talk with the other moms more and realized they were all nice and very accepting. They’d offer to feed or hold a baby while I dealt with another. They consistently told me how strong I was. And slowly, I began to believe them. So I ran a 5k pushing the babies…then I ran the Savannah Bridge Run with them. Then more races. More classes. As I went back to work part-time, I kept Richmond Hill mornings open so I could go to class. I made that hour a priority because I saw the physical, mental, social and emotional good it was doing for me. My husband also saw just how important this group is to me and our family. He sees the benefits of me taking this time for myself and helps me find a way to make it happen. 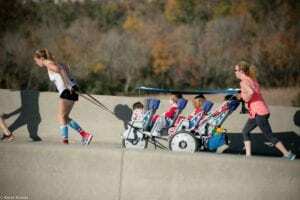 I have since graduated to the Runabout quad stroller and kept pushing myself on races. 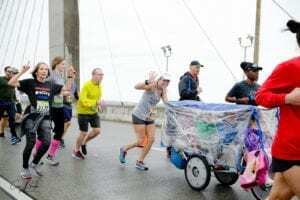 My husband still may think I’m a little crazy sometimes with all my running, and he also is learning how to support me there. We both know it makes me a better wife and mom when I can sneak in a workout or run. Sure, there have been struggles. I didn’t drop the weight initially- in fact, my baby weight didn’t come off until after I completely stopped pumping breastmilk at around 18 months postpartum. There also comes the struggle of having 4 babies/4 toddlers/4 preschoolers- all at once. It’s chaotic and loud and often messy. 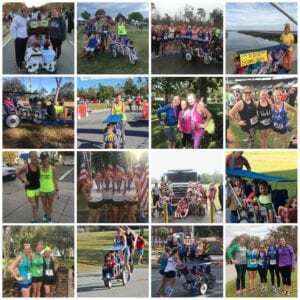 Stroller Strong Moms has helped me in so many ways. It’s helped me get into possibly the best fitness health of my life. It’s taught me how to truly “work out”- not just burn calories. It’s also given me some of the most amazing relationships. The moms in the group truly are my sisters. They are there for me and my kids, in so many ways. I cannot imagine these last 4 years without them. It helped me work through my mental health. I was at a high risk of postpartum depression or a complete reoccurrence of depression anxiety and eating disorders because of my pregnancy and the hormonal shifts, not even factoring in the stress. While it’s not always been pretty, I think I’ve handled it all fairly well and stable. Because of Stroller Strong Moms, I have so much more confidence in myself as a mom, as a counselor, as a wife, as an athlete, as a person. This group empowers me to push myself a little more each time. I joke with new moms- the workouts don’t get easier, you just push yourself harder. Stroller Strong Moms is what you make of it and what you put into it. If you want it to change your life- it can and it WILL. Currently, I’m training to run a half marathon pushing the kids. Sure- the stroller and kids are around 200lbs, but why not? And what was the response from my tribe? “YOU CAN DO THIS!” Not only have they given me the verbal encouragement, but many have agreed to run parts or all of it with me, have agreed to train with me, and send me constant encouragement. They know it means a lot to me and they love and support me and want to see me hit my goals. That’s what we do for each other- lift each other up, encourage, push, and inspire each other- as well as other moms and families in the community.